When it comes to personal cuisine preferences, I’d rate Korean food somewhere behind Japanese food. Korean food is excellent, but I find it lacks the breadth of flavors as some other cultures, and I can’t eat it back-to-back-to-back-to-back like I can other foods. 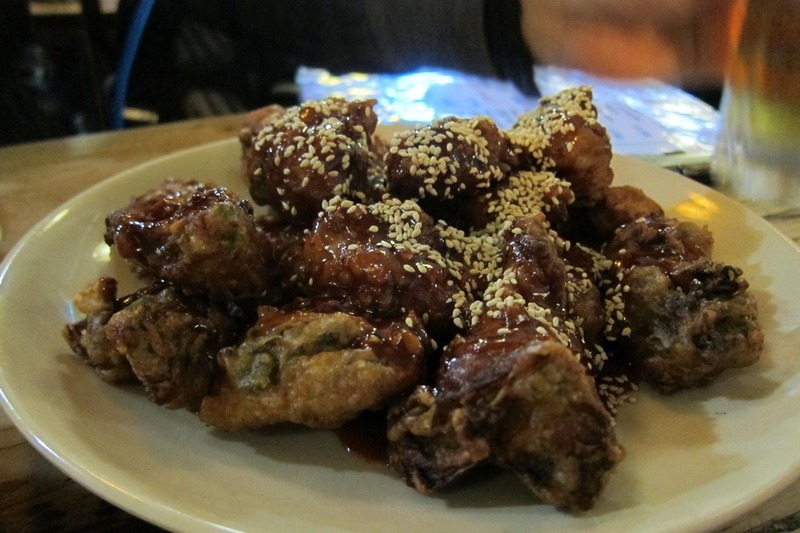 That being said, there are a few types of Korean food I cannot get enough of, like Korean fried chicken (So crispy! So tender! ), or bibimbap (So spicy! So tasty! ), or Korean BBQ. 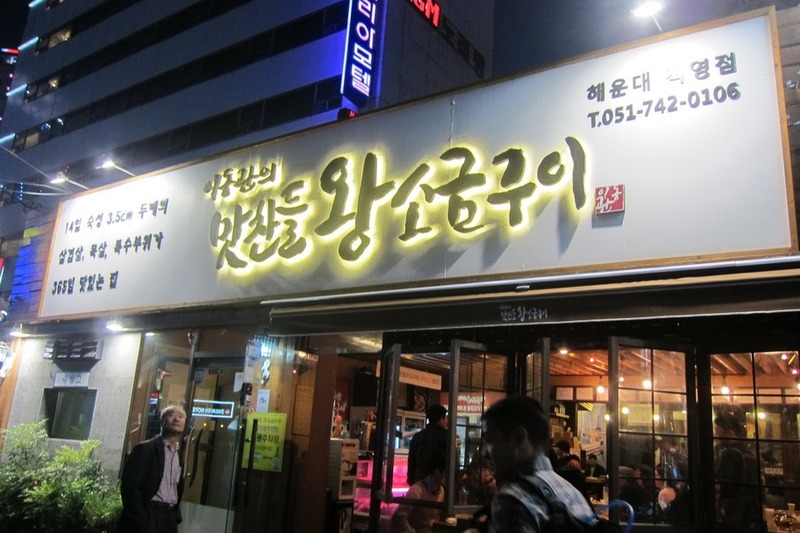 While we already had an amazing Korean BBQ meal in Seoul, I was looking forward to repeating the experience in Busan. 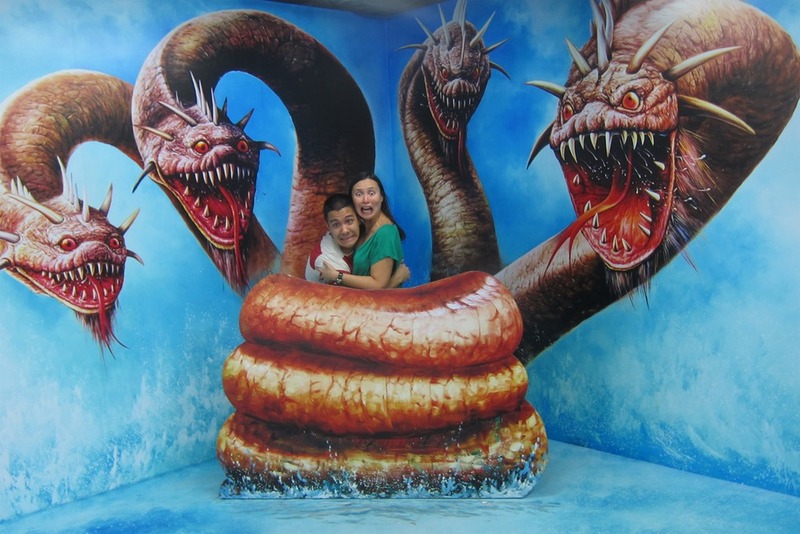 Back during our Selfish Year, Mrs. Selfish and I had a blast at Seoul’s Trick Eye Museum. If you’ve never heard of them, the Trick Eye Museums are a private, for-profit series of galleries found in South Korea, China, and Singapore. They’re not really museums, so much as they are galleries brimming with opportunities for stupid pictures. 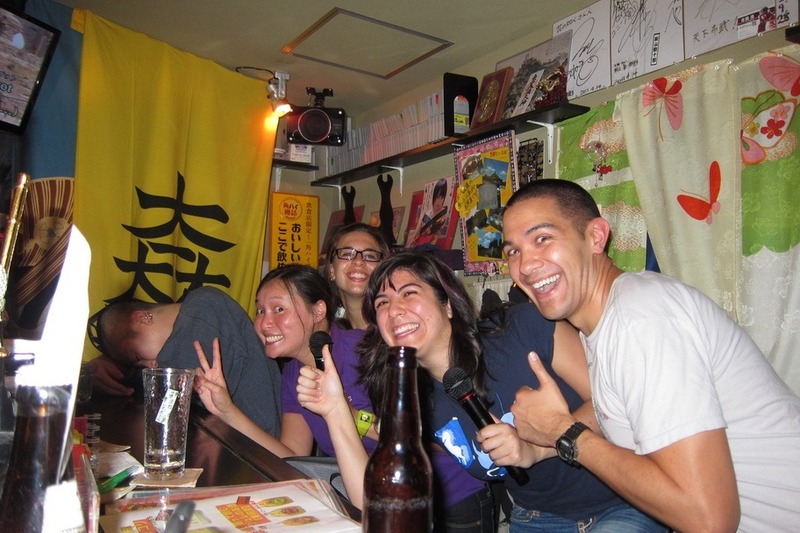 I’m normally pretty shy about ridiculous photos in public, but Trick Eye is a completely different beast altogether. This is a no-holds-bar-bring-your-A-game kind of event. Especially if you want to keep up with Mrs. Selfish who excels at this kind of stuff. I mean, who can compete with THIS? Mrs. Selfish and I have stayed at a lot of Park Hyatt hotels since we discovered the world of miles and points. The Park Hyatts Zurich, Istanbul, Tokyo (twice), Sydney, and most recently Seoul, come to mind. And while this is by no means an exhaustive list of Park Hyatt’s (there are currently 35, according to my count on Hyatt’s webpage), I can easily say that our stay at the Park Hyatt Busan was the best stay I’ve ever had at a Park Hyatt hotel. Good view? Check. Good breakfast? Check. Good service? Check. Good room? Double-check! We basically had the perfect stay here, but it took a lot of coordination on the hotel’s side. 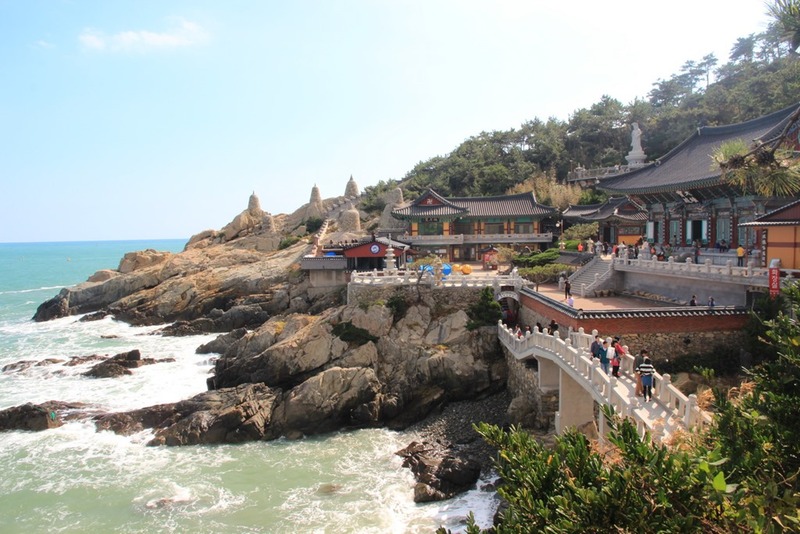 tl;dr: stay here if you’re in Busan. It’s #$(*&#$ awesome! 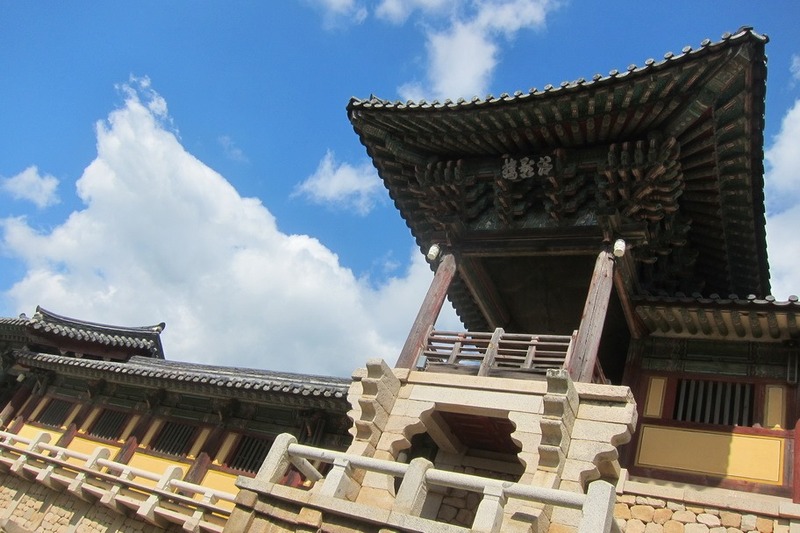 Gyeongju is one of the oldest cities in South Korea, dating back 57 BCE. 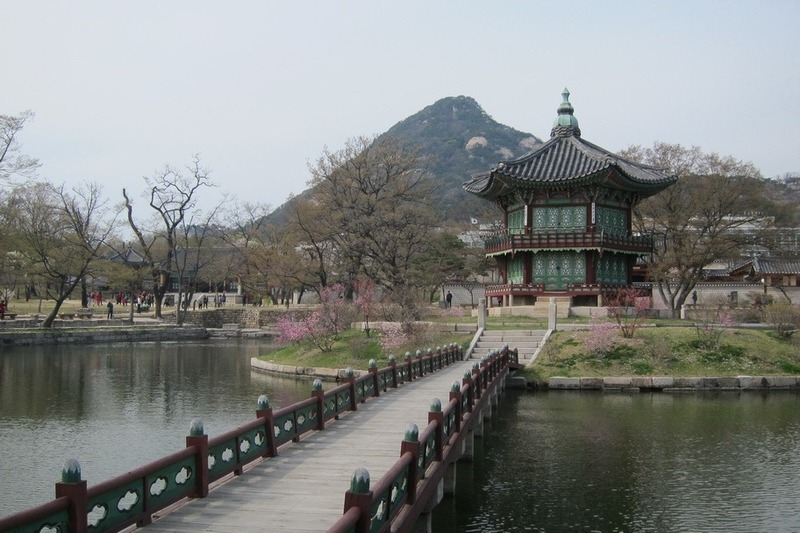 It was also the capital of the Shilla Kingdom, the dominant group that ruled Korea for three centuries starting in the 7th century. Which meant one thing to me: ruins! I love ruins, temples, and anything ancient. Mrs. Selfish and I spent an amazing 23 days in Kyoto during our Selfish Year, partially because I am obsessed with shrines and temples and that city has literally hundreds of them. So I was kind of expecting it to be something like that. Actually, I kind of regret not going here now. Look at all ‘dem bears! Normally I’m all over that kind of stuff, but we were looking for bona fide, authentic slices of history here. 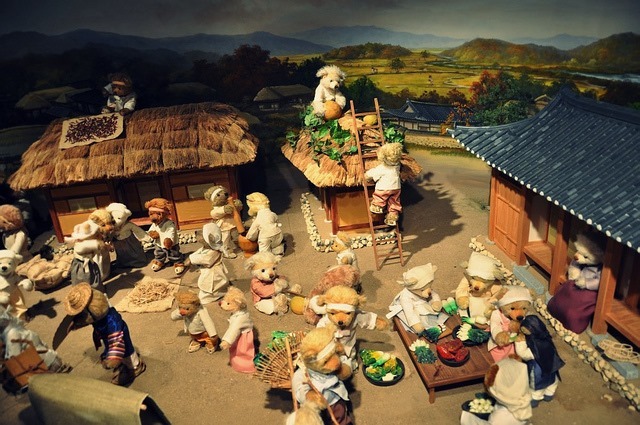 Gyeongju may be overrun by kitschy tourist attractions, giant coffee chains, and massive hotel complexes, but there is still something very beautiful about it – you just have to know where to look. Not a bear in sight! Mrs. Selfish and I initially planned to stay in a hanok, a traditional Korean hotel, during our one night stay in Gyeongju. Unfortunately, the more pregnant Mrs. Selfish became, the less comfortable we thought she’d be. Especially since sleeping in a hanok means sleeping on a pad on the floor and using an external bathroom, something which no pregnant woman would be excited to try. Fortunately, Gyeongju is a major Korean tourist destination and is an odd mix of history, theme parks, and kitschy attractions which means they have a ton of chain hotels (though oddly, no Hard Rock cafe). 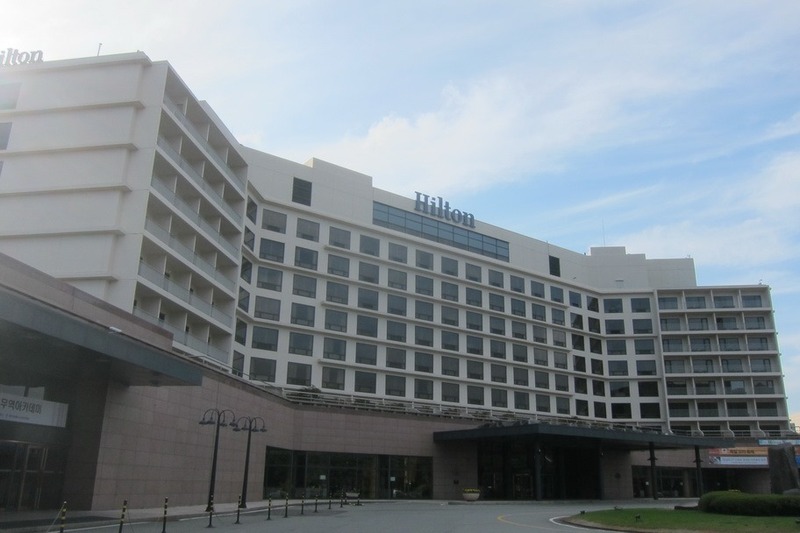 Since Mrs. Selfish had a fair number of HHonors points on hand, we decided to book a night at the Hilton Gyeongju. 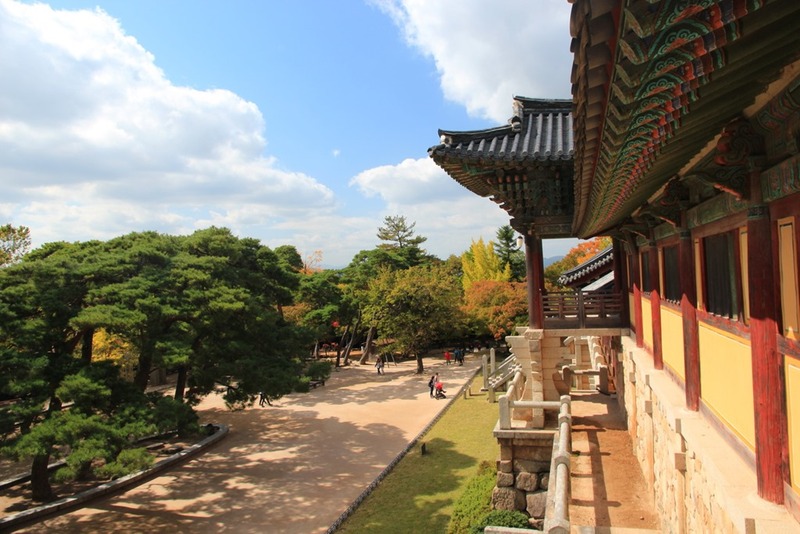 The first time we visited Seoul, we managed to hit Seoul’s top 2 palaces, the Changdeokgung Palace and the Gyeongbokgung Palace. 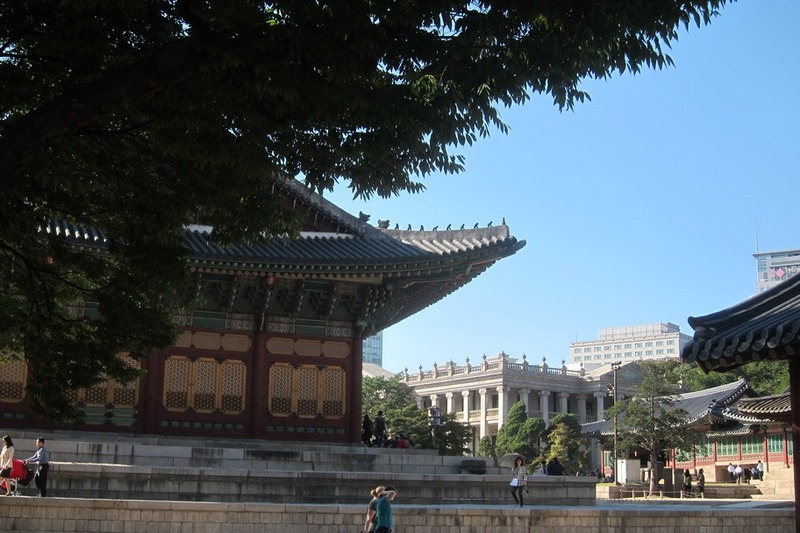 Both palaces were very beautiful and I highly recommend visiting each one if you’re visiting Seoul for the first time. 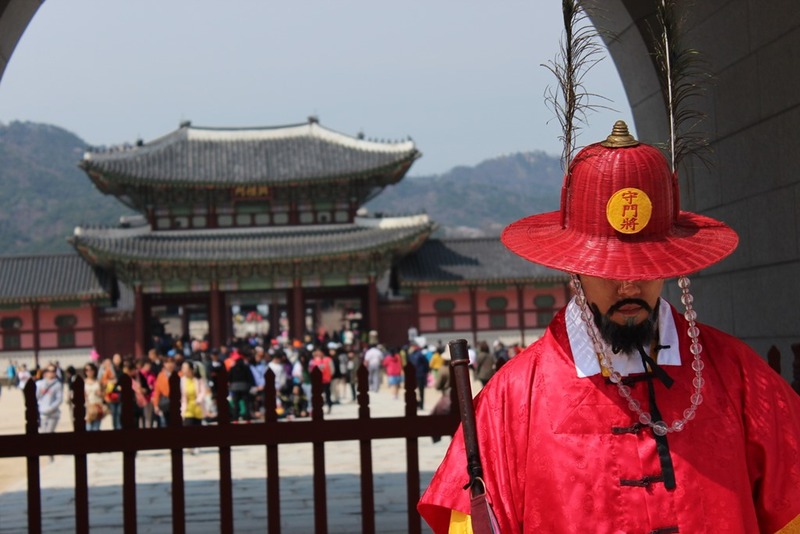 Since this was our second time visiting Seoul, however, Mrs. Selfish and I decided to hit up the two palaces we had missed during our Selfish Year trip – the Deoksugung Palace and the Changgyeonggung Palace. Yeah, they have a White House-looking building. Weird, huh? 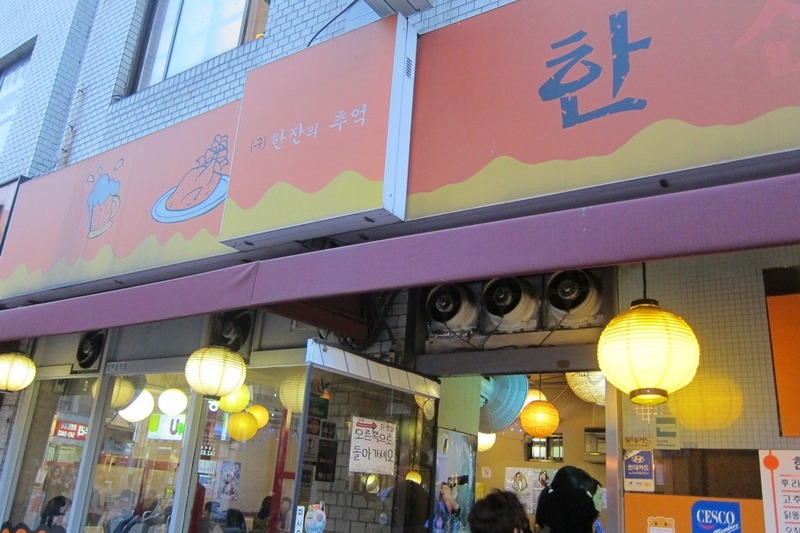 Having eaten our way through the northern side of Seoul during our Selfish Year (and because Mrs. Selfish was less mobile this time around), we decided to try some of the eats on the Gangnam side of Seoul. 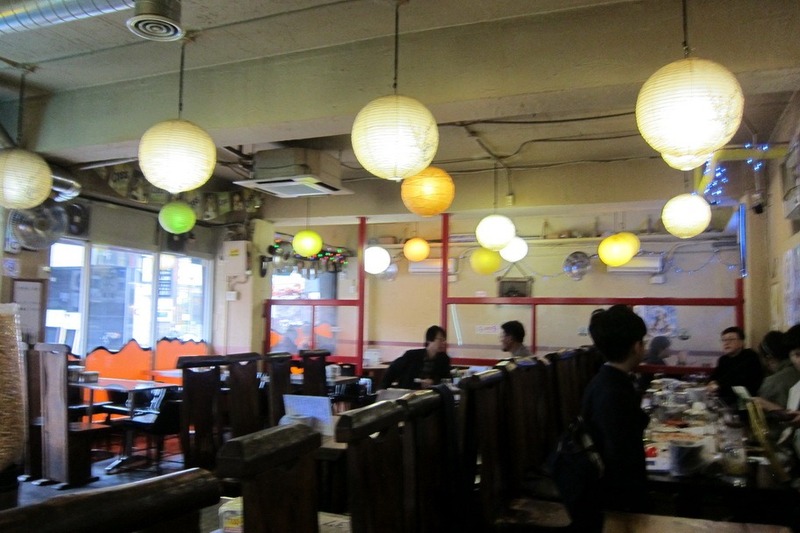 Seoul has tons of good restaurants, and is a fairly cosmopolitan city. That being said, I am admittedly and whole-heartedly a cheap eats kind of guy. $10 – $15 per person is my idea of a good meal, so Michelin restaurants were simply not in the cards. Below are some of the delicious (and affordable) eats we found. Be warned, they are largely Korean chains, but that doesn’t preclude them from being mouth-wateringly delicious. After a good night’s rest, Mrs. Selfish and I woke up at the Park Hyatt Seoul refreshed and ready to take on the day. The thing I enjoy the most about visiting different countries is probably the food a strong sense of place. Now I know what you’re thinking. How can a city have a strong sense of place? I’m not sure how to explain it, but there are just some cities that do. New York, Tokyo, Paris, San Francisco… these are all cities with unique characteristics – so much so that if you were blindfolded and dumped in the middle of downtown you could instantly tell where you were. Seoul has a bit of that. From the thousands of coffee shops that dot the landscape, to the overly sculpted beautiful Seoulites roaming the streets, to the bizzarro integration of ancient and beautiful temples amidst modern skyscrapers. 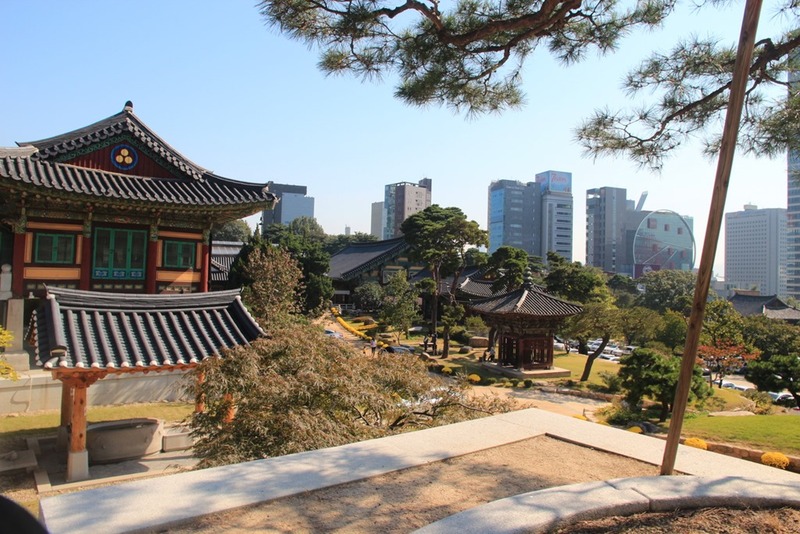 The beautiful Bongeunsa Temple fits that perfectly, an ancient(ish) temple nestled in the middle of Gangnam. For our first stop in South Korea, Mrs. Selfish and I decided to head back to Seoul. Seoul is an easy city to get to from the States and is the hub for Korean Air, which has direct flights from several cities including San Francisco. Seoul was also an ideal place to recover from our 16 hours of jetlag, since we already had an idea of where to go, what to do, and what to eat. 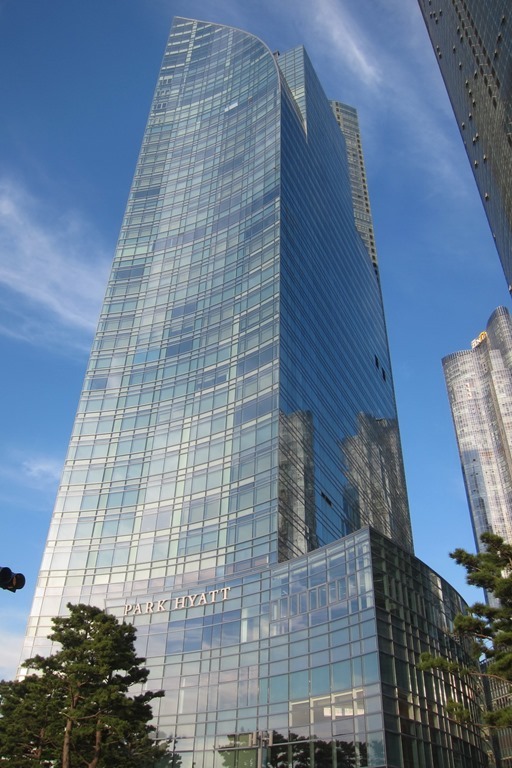 To make things even less stressful, I booked us for 4 nights in the stylish Park Hyatt Seoul, set in the heart of Gangnam. 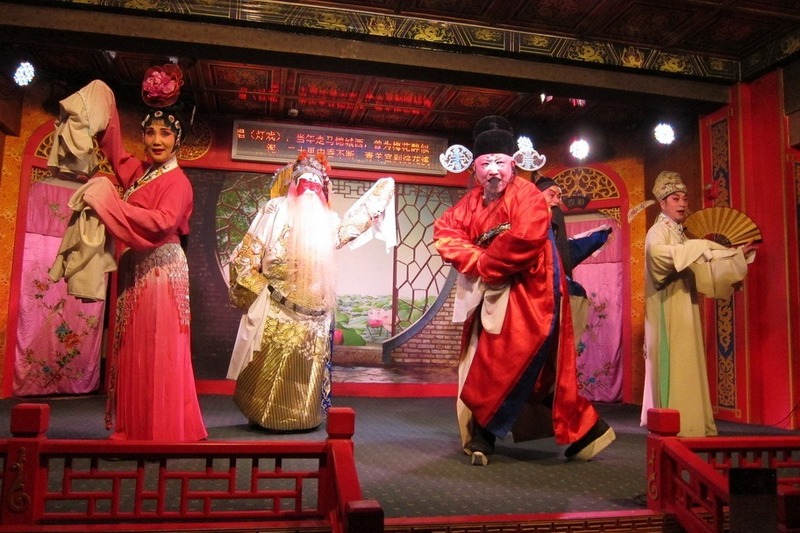 Yep, Gangnam style reference – except! – you can actually see the top of the Park Hyatt Seoul in the bottom right corner of this shot. It’s that close. Unfortunately, no Psy sightings this time around. Ahn-yong haseyo – Mrs. Selfish and I are once again in South Korea! It feels like we haven’t been here in a long time, but when I check the calendar we were just in Seoul 1.5 years ago. 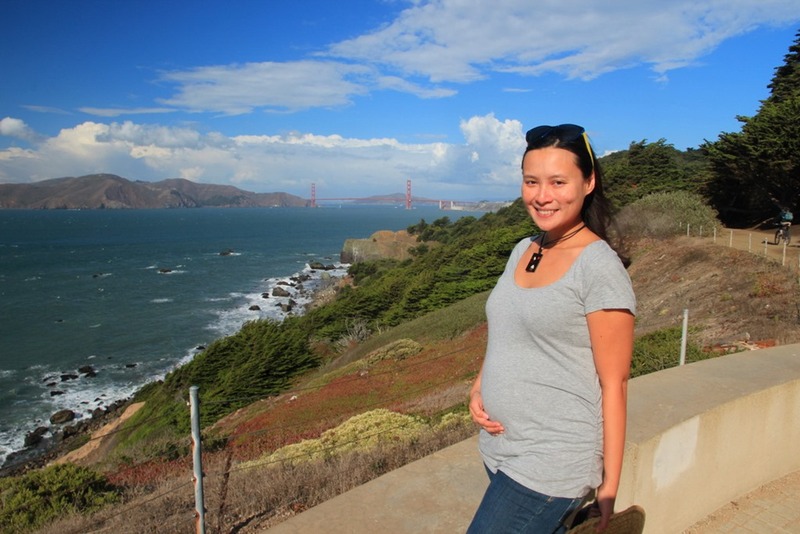 Of course, a lot has happened since then – we visited 14 countries, drove cross country with all of our worldly positions to San Francisco, and generally tried to find a new normal that doesn’t involve packing our bags every few days. So why are we back in Korea? Many reasons. For one, Mrs. Selfish and I love Korean food. 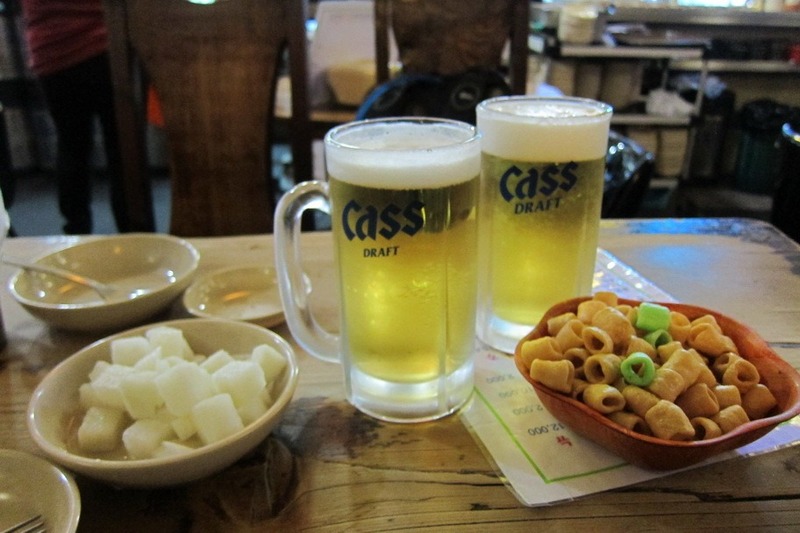 We’re also interested in exploring South Korea more since we’ve only been to Seoul, and only for 5 days at that. I have a decent idea of what China, Japan, and Taiwan are like, but South Korea is still somewhat of a mystery though. Mrs. Selfish is 5 months pregnant! The Selfish Guides to Asia are Finally Complete! It took me a while but I’ve finally completed the Selfish Guides to Seoul, China, and Japan, which completes the rest of Asia. Considering that Mr. Selfish and I spent 33 days in China and 43 days in Japan, I don’t think that it was that long. Okay, so we did leave Asia about four months ago. I promise that I’ll finish the Selfish Guides to Australia, New Zealand, and Bora Bora in a much shorter time. If you would like to see the Selfish Guides in their entirety, please click here. 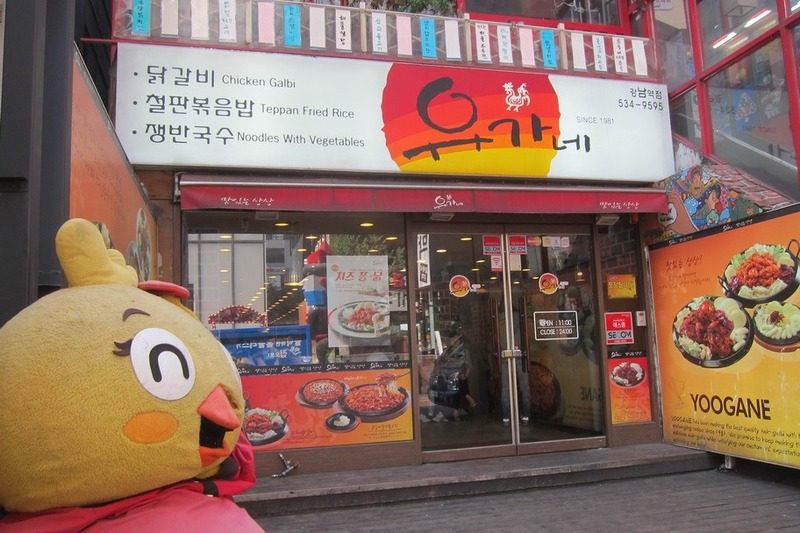 Mr. Selfish and I certainly enjoyed the Korean food in Seoul. 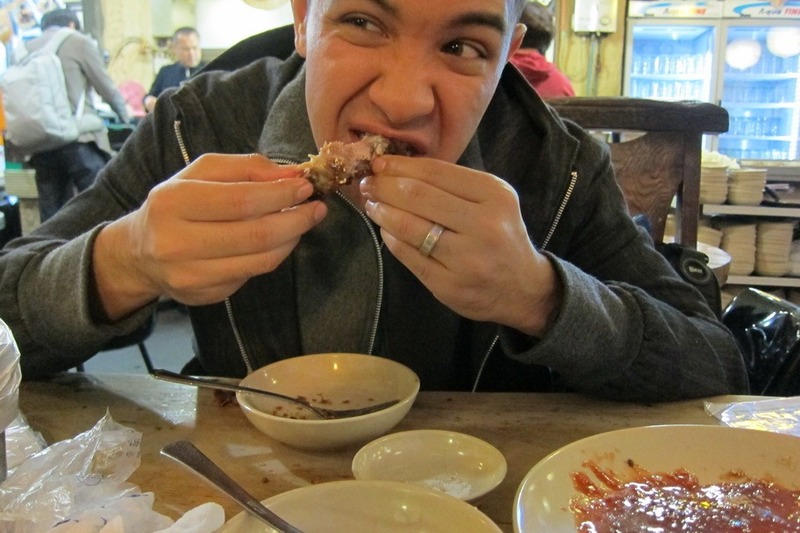 We loved the bulgogi, galbi, and bibimbap, but there was something missing – chicken. Specifically, we were on the hunt for Korean fried chicken, which is seasoned with many spices, including salt and sugar, prior to frying. We also learned that Korean chickens are different from the ones U.S. since they are typically smaller and have less protein. As a result, the chickens are usually fried whole and then chopped into smaller pieces. 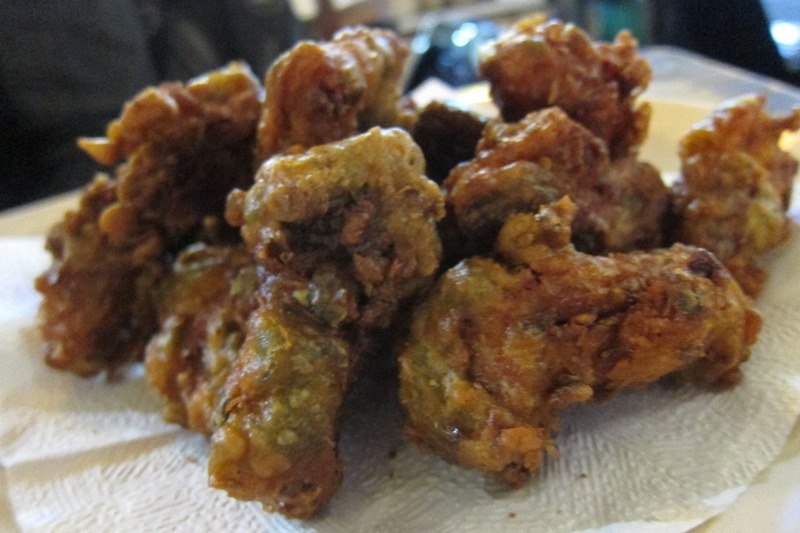 The fried chicken is then typically served with pickled radishes of some sort. Mr. Selfish looked for the best Korean fried chicken places in town, and we decided to go to HanChu Fried Chicken, which was located at 549-9 Sinsa-dong. It wasn’t a fancy place but it sure was tasty. 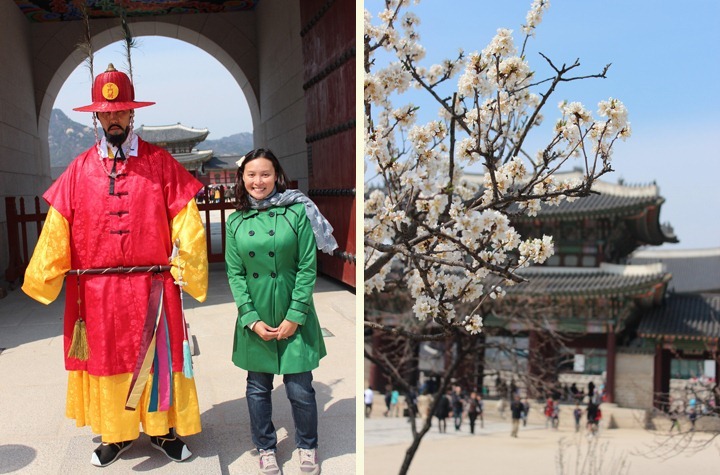 Mr. Selfish and I visited Gyeongbokgung Palace during our five-day stay in Seoul. 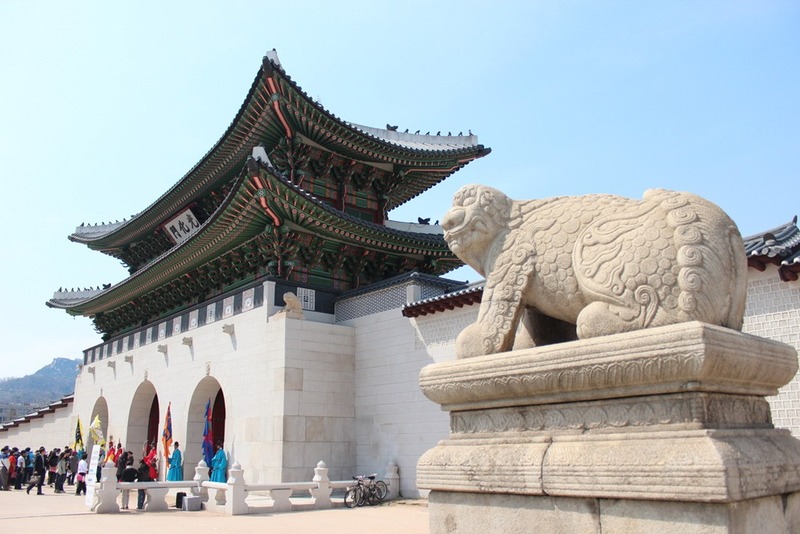 This palace is the largest of the five grand palaces in Seoul. It was first constructed in 1395 but since then, it has been burned and abandoned several times. It wasn’t reconstructed until 1867. 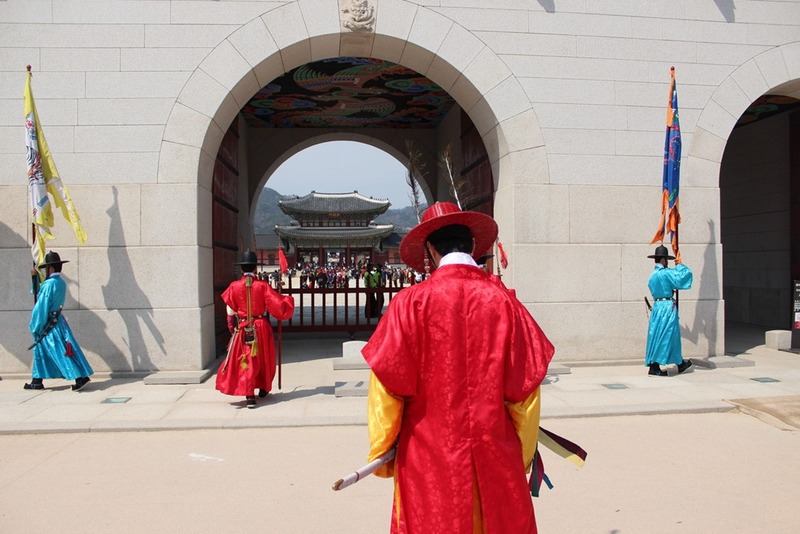 We enjoyed the reenactment of the royal guard outside the main gate (Gwanghwamun). 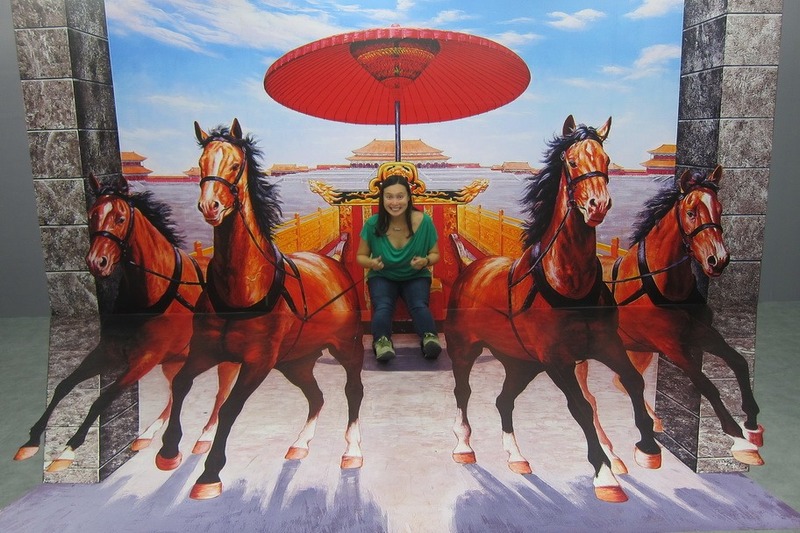 Just like the guards at Buckingham Palace, they will remain still when you pose for a photo next to them.